A September 26, 2018 article in the Credit Union Times brought a sigh of relief to those working for an accessible, inclusive digital world. The article was titled DoJ Refuses Request to Issue ADA Guidance for Websites. It announced that the Department of Justice was not going to issue any new regulations about web accessibility and the ADA. Under the current administration this is welcomed news. A copy of the DOJ’s letter is linked to the Credit Union Times’ article. It is reprinted here in full so an accessible version is available to anyone who wants to read it. The DOJ’s letter was sent to Congressman Ted Budd. In June of this year the Republican from North Carolina had joined 103 members of Congress in sending a letter to the DOJ asking the Department to issue regulations in response to a significant number of lawsuits filed against credit unions. 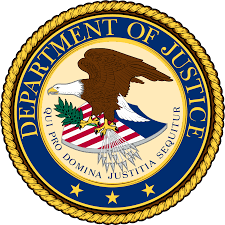 Read about the June, 2018 letter to DOJ in the Seyfarth Shaw ADA Title III blog. The DOJ’s letter also reminds the congressman that “the Department has consistently taken the position that the absence of a specific regulation does not serve as a basis for noncompliance with a statute’s requirements.” (This is something I have written about for a long time, including last December’s post titled No ADA Web Accessibility Regulations? No Excuses. This responds to your letter dated June 20, 2018, regarding website accessibility for public accommodations under the Americans with Disabilities Act (ADA). We apologize for our delay in responding your letter. As you may know, on December 26, 2017, the Department of Justice (the Department) published a Notice of Withdrawal of Four Previously Announced Rulemaking Actions in the Federal Register. 82 Fed. Reg. 60932 (Dec. 26, 2017). Two of the withdrawn rulemakings were related to the accessibility of web information and services under the ADA. The first withdrawn rulemaking (RIN 1190-AA61) covered accessibility of web information and services of public accommodations. The second withdrawn rulemaking (RIN 1190-AA65) covered accessibility of web services of state and local governments. Additionally, the Department has consistently taken the position that the absence of a specific regulation does not serve as a basis for noncompliance with a statute’s requirements.1 Absent the adoption of specific technical requirements for websites through rulemaking, public accommodations have flexibility in how to comply with the ADA’s general requirements of nondiscrimination and effective communication. Accordingly, noncompliance with a voluntary technical standard for website accessibility does not necessarily indicate noncompliance with the ADA. We very much appreciate the concerns regarding the impact that the risk of litigation has on covered entities. The Department remains committed to safeguarding accessibility for individuals with disabilities while also working with covered entities to ensure that compliance with the ADA is feasible and sustainable. Given Congress’ ability to provide greater clarity through the legislative process, we look forward to working with you to continue these efforts. We hope this information is helpful. Please do not hesitate to contact this office if we may provide additional assistance regarding this or any other matter.